When the word party comes to mind, does the term party shirt also come to your mind. It should because when you get invited there are going to plenty of people there, many that you are going to meet and you need to wear the right style shirts to look your best. A short sleeve fashion style button down shirt is your best chance to look your casual best. 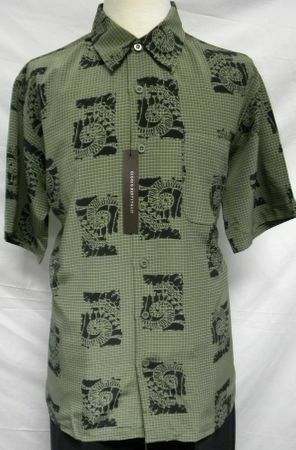 This olive shell print shirt is made by Giogio has fun woven into this DNA.